If you plan to attend a workshop, please register by e-mail or call. Deadline to register is the Thursday before the workshop. The workshops should end around 3:00 pm but often extends to 5:00 pm. To register or for inquiries, email Kirsten at kirromig@nmsu.edu, or call her office at 575.646.4465. Workshops can be scheduled on an as needed basis. Please contact Laura Burkett if you would like a workshop or have questions about applying PPCs. 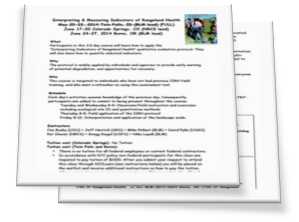 Description: This two-day training will provide participants with a comprehensive understanding of Pedoderm and Pattern Classes (PPC) and their uses for inventory, assessment, ecological site development and management decision making. Participants will be trained to apply PPCs in a consistent and repeatable fashion. Day one includes indoor (Garcia Building JER Ranch Headquarters) and outdoor (Jornada Experimental Range), hands-on instruction in assigning PPCs using the Field Guide to Pedoderm and Pattern Classes. Day two includes further calibration followed by a 'methods test.' The methods test will be used to ensure consistency of the PPC method. The workshop is suitable for professionals with backgrounds in a variety natural resources and ecology fields. Lunch will be provided. Bring your own water, hat, sunscreen and other field equipment. Pencils, clipboards, data forms, and a Field Guide to Pedoderm and Pattern Classes will be provided. WASHINGTON, May 29, 2015—What do “cloud computing” and “terra firma” have in common? 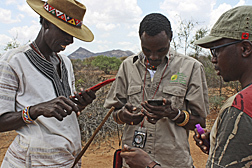 A suite of mobile phone applications ("apps") that, once all are released, will connect agricultural producers around the world and provide them with shared knowledge on ways to maximize the land’s productivity while protecting its resources for future generations. The first two apps, dubbed “LandInfo” and “LandCover,” were released this month and will allow anyone using the mobile phone technology to collect and share soil and land-cover information as well as gain access to global climate data, said Jeff Herrick, a U.S. Department of Agriculture (USDA) scientist. He and cooperators developed the apps as part of a five-year, multi-organization project called the “Land Potential Knowledge System” (LandPKS). The desert-friendly cow - A rancher and a researcher search for a better bovine — and think they’ve found one. 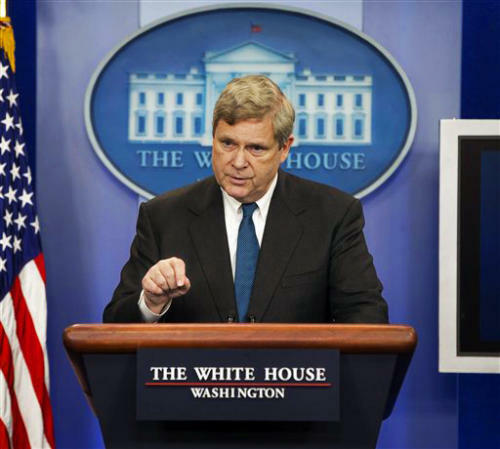 WASHINGTON >> Climate change is already hurting American farmers and rural residents, Agriculture Secretary Tom Vilsack said Wednesday, warning the United States would regret any failure to adapt and prepare for shifting weather realities. Unveiling a new effort to coordinate the government's response, Vilsack said extreme weather events have already taken the nation by surprise, putting ranchers and others out of business. He pointed to the intensity and frequency of recent storms, long droughts, snowstorms and subzero weather as evidence that climate change is no longer hypothetical or in the future. 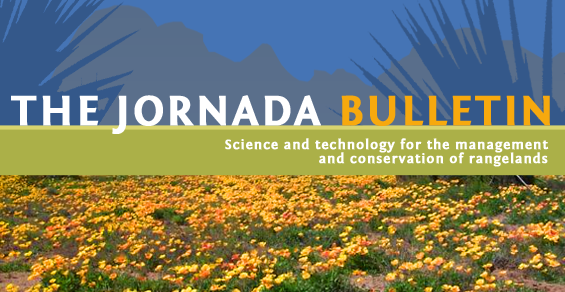 Interested in The Jornada Web Seminar series, part of the Landscape Toolbox project? Fill out and submit the form (https://www.landscapetoolbox.org/train/register) to sign up for alerts regarding upcoming web seminars. Each of the Jornada Web Seminars is elgible for one continuing education unit (CEU) from the Society for Range Management. For more information, see https://www.rangelands.org/cprm_public/. ROBERT SIEGEL, HOST - ALL THINGS CONSIDERED from NPR News. Just two months ago, New Mexico was dry. Nearly the entire state was classified as experiencing extreme or exceptional drought. Well what a difference September makes. Now most of New Mexico has received above-average rainfall, even record rainfall in some places. It's a big relief, but as any climate scientist will tell you: One month does not end a drought. In fact, this drought and others before it have permanently changed the land and the way it's used. NPR's Ted Robbins reports. Venue (see https://v-e-n-u-e.com/Invisible-Fences-An-Interview-with-Dean-Anderson) is a portable media, multi-format event platform. Directed by Geoff Manaugh of DLDGBLOG and Nicola Twilley of Edible Geography, Venue is crossing North America interviewing people from diverse perspectives and disciplines about new innovations at the cutting edge of today's technologies. The February issue of "the Atlantic", which serves as the online presence of Venue, includes an amazing and wide-range article about the research conducted by the Agricultural Research Service in New Mexico led by Dean Anderson. At a Jan. 18 New Mexico State University Research Rally, the campus celebrated the recent announcement of a $5.88 million grant from the National Science Foundation to fund the Jornada Basin Long Term Ecological Research program for a sixth six-year funding cycle. 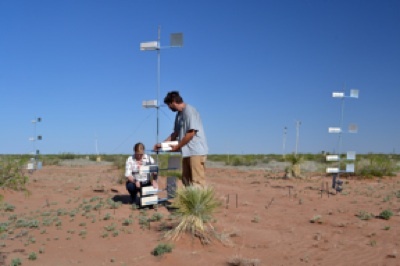 The JRN LTER is a collaborative project involving NMSU’s College of Agricultural, Consumer and Environmental Sciences, College of Arts and Sciences and the U.S. Department of Agriculture’s Agricultural Research Service. NMSU administers the grant. Landscape ecologist Debra Peters is the project’s principal investigator. She is a research scientist with the USDA/ARS Jornada Experimental Range and an affiliated faculty member in NMSU’s Department of Plant and Environmental Sciences and Department of Biology. She has been involved in the JRN LTER research enterprise since she arrived at NMSU in 1998, after working on other LTER projects since graduate school. Collaborating researchers include eight other faculty members from NMSU and JER, as well as scientists from Arizona State University, University of Arizona, University of California, Los Angeles, University of Texas at El Paso, University of California, Berkeley and the U.S. Geological Survey. The JRN LTER has been continuously funded since 1982 and is one of the seven oldest LTERs in a network that currently includes 25 such sites spread across the U.S., the polar regions and the South Pacific. The LTER network was created to allow studies of the dynamics of ecological change that could span decades, expanding our knowledge of the mechanisms of that change in a representative sample of diverse environments. The Jornada Basin, a mid-altitude semi-arid desert environment, allows the study of issues common to many deserts around the world. When New Mexico achieved statehood in January of 1912, the U.S. Department of Agriculture was already 50 years old. In May of that year, an executive order signed by President Taft designated a large tract of what had previously been public-domain lands in the Jornada Basin as the Jornada Range Reserve. Now known as the Jornada Experimental Range, or simply “the Jornada,” it was established within USDA’s Bureau of Plant Industry. The motivation for this action was widening recognition of, and concern about, rangeland degradation in the region. The reserve was established to demonstrate science-based solutions to address this degradation. The other key player in this arrangement was E.O. Wooton, a long-time professor at the New Mexico College of Agriculture and Mechanic Arts, now New Mexico State University. He had recently moved to Washington, D.C., to work as an agricultural economist for the USDA. He had been documenting the deteriorating state of rangeland in the area for a number of years, and some of that work had involved Turney and the lands he grazed. 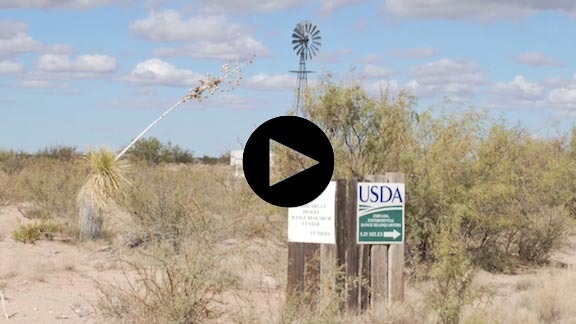 The USDA/ARS Jornada Experimental Range near Las Cruces, NM was created in 1912 by presidential executive order with a mission of developing science-based solutions to land degradation in Southern New Mexico. 100 years later, its mission has not changed radically, but its methods, tools and stakeholders have. All along the way, the unit has had strong connections with the New Mexico College of Agriculture and Mechanic Arts, now New Mexico State University. 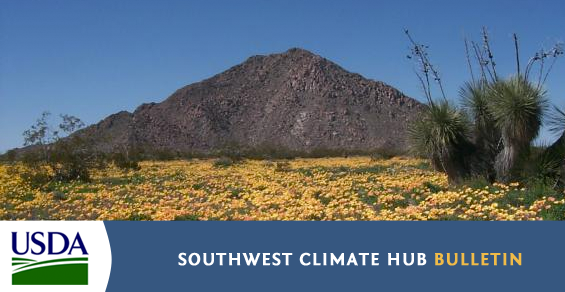 Using funds provided by the National Science Foundation we are studying climate-biosphere interactions in the Western US and Northern Mexico that are determined by spatial and temporal dynamics in the North American Monsoon System. Go to the Monsoon Macrosystem Project website for more information and view the informative video. The principal question that we are addressing is: what are the forcings that provide spatial coherency and temporal synchrony to the ecosystems that occupy this geographic region and how do those forcings influence the propagation of ecological perturbations within the system? We are focusing on processes that cross ecosystem boundaries, creating connectivity among the ecosystems and producing a synergy that we refer to as an ecological macrosystem. The issues we are studying include the spread of summer-active invasive grasses through rangelands and deserts, and the movement of wildfires from lower elevation, grassland ecosystems into higher elevation, forest ecosystems. Spring is the windy season in southern New Mexico. The high winds and accompanying dust contribute to traffic accidents, aggravate allergies and pulmonary health problems, and fan the flames of wildfires, just to name a few negative effects. One group of people less likely than most to dread the spring winds, however, are some of the researchers in the Jornada Basin Long Term Ecological Research project who study how wind impacts the ongoing transition from grasslands to shrublands in the Chihuahuan Desert near Las Cruces. The long-term data they are collecting and analyzing is increasingly being seen as crucial to understanding this desertification process. The Jornada LTER is a National Science Foundation-funded project primarily involving researchers from New Mexico State University and the USDA Agricultural Research Service. 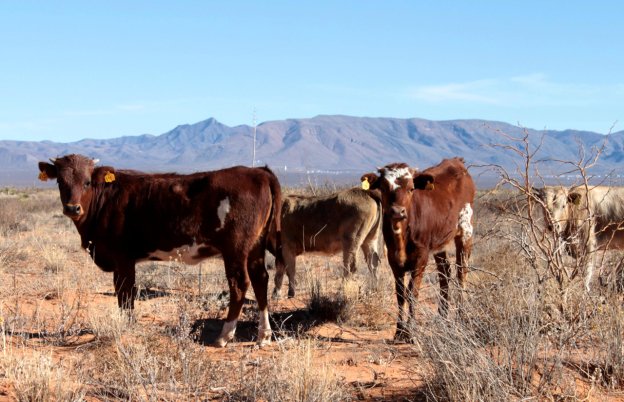 The primary area of the Chihuahuan Desert included in the project is NMSU’s Chihuahuan Desert Rangeland Research Center and the USDA’s Jornada Experimental Range. 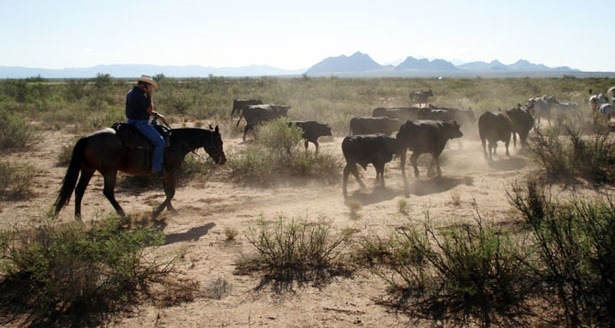 Together, the two ranches comprise more than 250,000 acres north and northeast of Las Cruces. Rangeland research at the JER has been ongoing since 1912, with a focus on the increasing dominance of perennial shrubs and the resultant decrease in grazing capacity. Researchers are studying the use of a UAV that cruises 700 feet above the Earth, collecting digital photographs of rangeland areas so large they are difficult to cover in ground-based surveys. 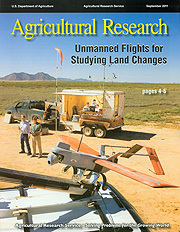 Agricultural Research Magazine September 2011 issue. At the USDA-ARS Jornada Experimental Range in Las Cruces, New Mexico, Al Rango, Jeffrey Herrick, and Craig Winters, ARS scientists based at the range, and Andrea Laliberte, a New Mexico State University researcher, are studying the use of a UAV that cruises 700 feet above the Earth, collecting digital photographs of rangeland areas so large they are difficult to cover in ground-based surveys. The aircraft weighs 20 pounds, has a 6-foot wingspan, and is launched from a catapult. Satellite imagery is improving, but satellites can’t provide the resolution needed by BLM for assessments of millions of acres of federally owned lands. UAVs allow operators to survey line-of-sight areas repeatedly or immediately after a major rainstorm or forest fire. When photographs must be obtained in conditions that would put a pilot at risk, UAVs have the advantage over manned airplanes, and they can acquire imagery at very high resolution. In a study partially funded by BLM, the researchers flew the UAV over the ARS Reynolds Creek Experimental Watershed in southwestern Idaho. They took just over 400 aerial photographs of 700 acres over 2 days. 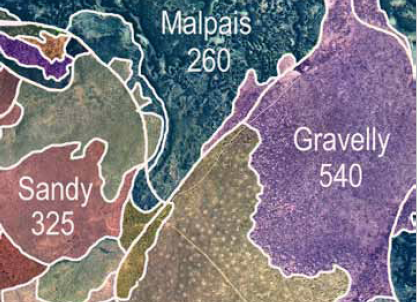 The researchers assembled the images into three mosaics, determined the percentage of vegetation cover using image-processing techniques, and compared the data to information collected with conventional ground-based measurement techniques. Read the full article at https://ars.usda.gov/is/AR/archive/sep11/land0911.htm. The U.S. Department of Agriculture (USDA) released a new study by scientists and conservationists showing that non-federal rangelands in the Western United States are productive, but that non-native grasses and shrubs pose a potential threat to the rangelands' productivity. When representatives of the Swiss Development Corporation contacted Jornada scientists six years ago about participating in a Mongolian rangeland monitoring and assessment project, Jeff Herrick and his colleagues thought it would be no big deal. “SDC contacted us and asked if we would be willing to help out by hosting a Mongolian Research Institute of Animal Husbandry professor and then undertake a first visit to Mongolia to advise them on rangeland issues,” he said recently. Herrick, a JER soil scientist with adjunct appointments in New Mexico State University’s Department of Animal and Range Sciences and Department of Plant and Environmental Sciences, has been involved in the Mongolia initiative ever since. And the SDC, an agency similar to this country’s USAID, has continued to provide major funding for the expanding project. 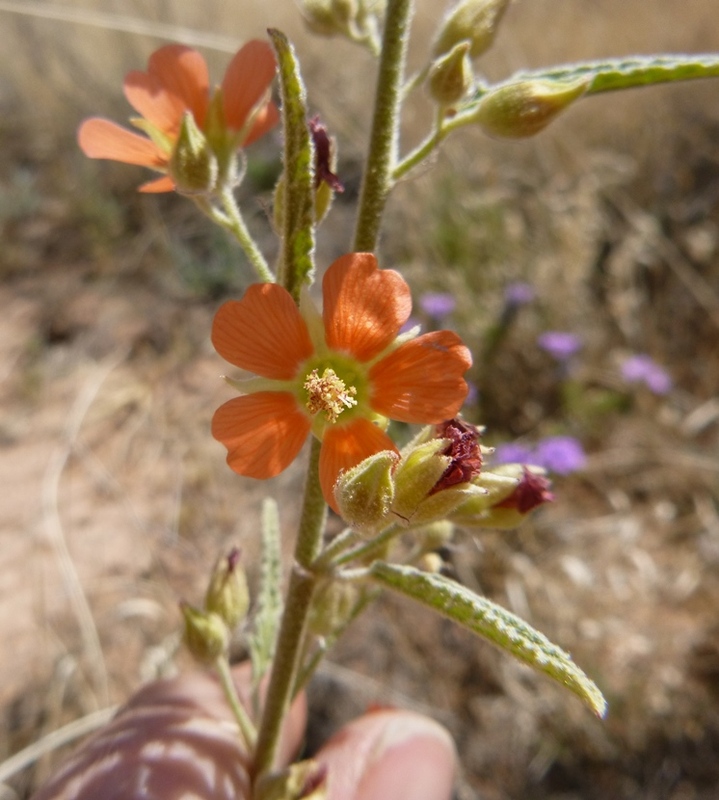 Herrick’s colleague Brandon Bestelmeyer is a JER ecologist affiliated with the biology department in NMSU’s College of Arts and Sciences, as well as the above departments in the College of Agricultural, Consumer and Environmental Sciences. He explained that the overarching purpose of the JER/NMSU project has been to help the Mongolians gain a broader view of current best practices in rangeland evaluation and restoration and to help them set up a system to support their nationwide efforts to address rangeland issues. The work has important economic and social implications for the former Soviet republic bordering northern China, where one third of the population relies heavily on livestock and the rangelands they inhabit. Domesticated herd animals include sheep, goats, cows, horses and Bactrian camels. Among other things, those animals provide meat and dairy products to a population with a meager vegetable and fruit supply. As a science program we focus on delivering typical products from research – peer reviewed scientific articles describing our findings. All of our articles are accessible through the “Publications” tab on this web site. On occasion we generate press-releases from our work (ARS and NMSU have communication offices that provide these services at https://www.ars.usda.gov/News/News.htm and https://newscenter.nmsu.edu/news/). We develop technologies and tools such as methods to assess and monitor resource conditions, and we assemble resources that can be used by resource managers such as the Landscape Toolbox and the Land Potential Knowledge System (Land PKS). We also synthesize our results into viewable presentations for various audiences, from the general public to science organizations and professional societies. Presentations developed from our research over the past 24 months are accessible at https://jornada.nmsu.edu/presentations.